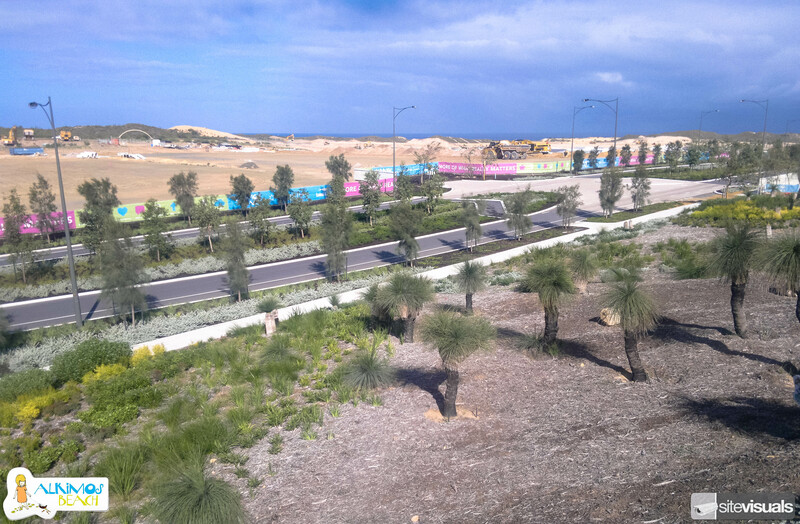 This is a shot from a live camera feed at the Sales & Information Centre at Alkimos Beach looking over Graceful Boulevard towards the stunning Indian Ocean. The camera was near the intersection on Marmion Avenue, about 2kms from the ocean. Please visit the Alkimos Beach site for more information.